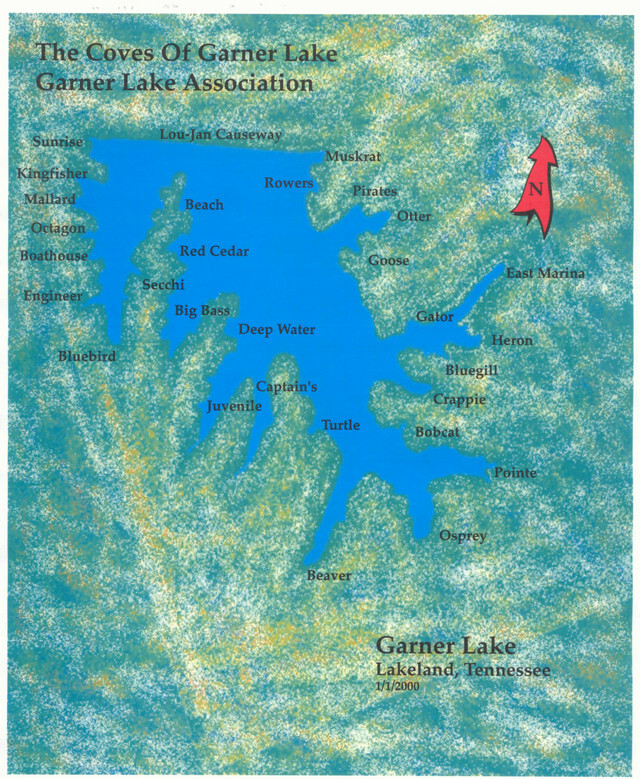 These are maps of Garner Lake. 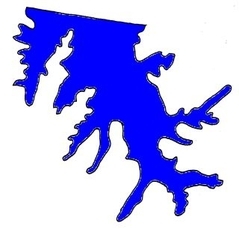 The top color map has the names of lake coves. 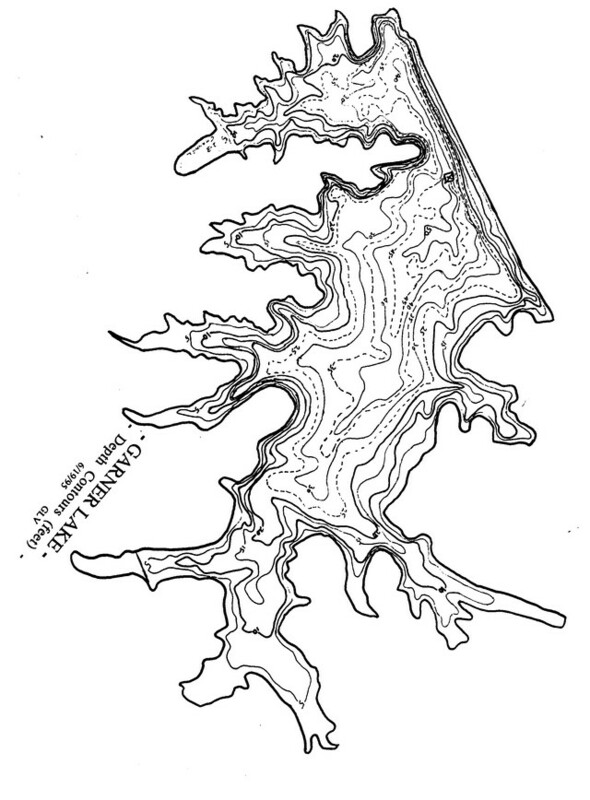 The black & white map is a map of the topography of the lake. The bottom map shows 2019 fish cover locations.